Interested in a military or defence career? The Welbeck College application deadline is approaching fast. For cadets who are interested in a service career, Welbeck – The Defence Sixth Form College (DSFC) provides a clear career path to technical or engineering officer careers in the Armed Services or the Civil Service of the Ministry of Defence (MOD). As the application deadline of 09 January 2015 is fast approaching here’s a quick overview of the College’s entry requirements, funding arrangements, what students can expect from their time studying at Welbeck and how interested cadets can find out more. 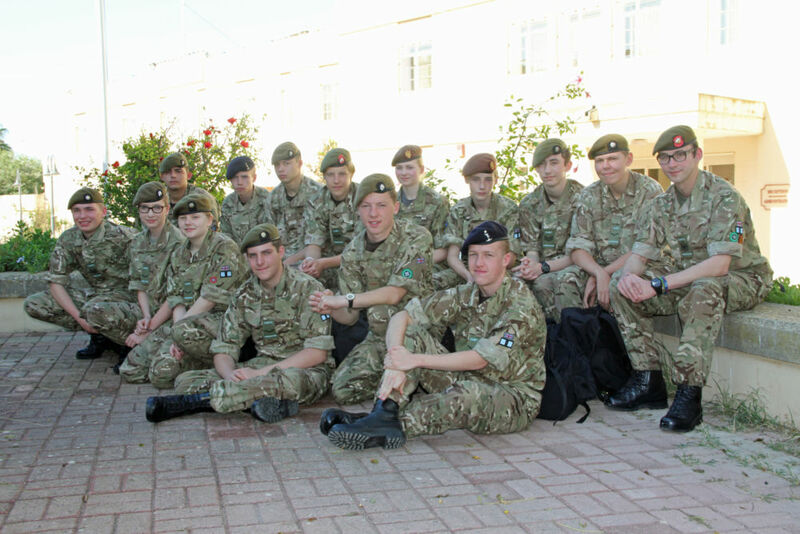 Around 60 per cent of the 175 students who arrive at Welbeck each year have previous experience of one of the Cadet Forces. The academic nature of the College means that it is best suited to those who are likely to achieve either a grade A or A* in mathematics and physics (or dual award science) at GCSE level. All Welbeck students study maths A level and 82 per cent take physics to A2. Students are selected to attend the College by the MOD, as part of the Defence Technical Officer and Engineering Entry Scheme (DTOEES). Prospective students must pass one of the Single Service Selection Boards, as well as meeting Welbeck’s academic requirements. Whilst the College is an independent school, the academic fees are paid by the MOD and the boarding and welfare elements are means tested. In a typical year around 20 per cent of students pay nothing and over 80% come from state schools. Students from Welbeck usually go on to read one of 200 technical, engineering, business or logistics degrees through the Defence Technical Undergraduate Scheme (DTUS), at 10 of the country’s leading universities. The DTUS provides each student with an annual technical bursary of £4,000 to assist with fees and living costs. In addition students can receive up to £2,000 a year for paid training, including adventurous training and sporting qualifications. During their two years at the College all students are expected to take a full and active role in the CCF (for an average of three hours a week). In addition they take part in six formal military exercises and participate in activities such as hill walking, map reading, kayaking, climbing and military physical training. Students also get a taste of Army Personal Fitness Assessments (PFAs), which include a 1.5 mile run and minimum standards of press ups and sit ups. Return of three years’ service on completion of training.